Camera price declines prompted a cut in Nikon's annual profit forecast. 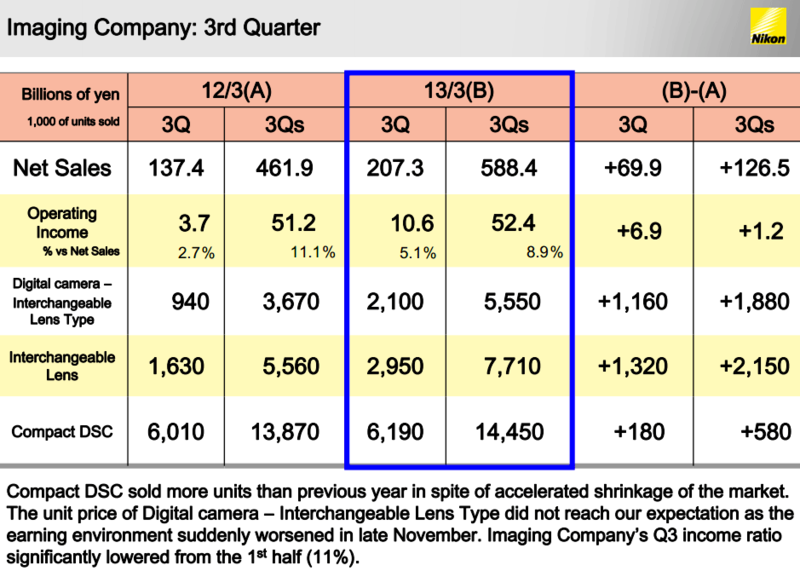 Junichi Itoh, Nikon's CFO said this: "Tough competition for entry-level single-lens-reflex models has led to a large price decline since around mid- November. 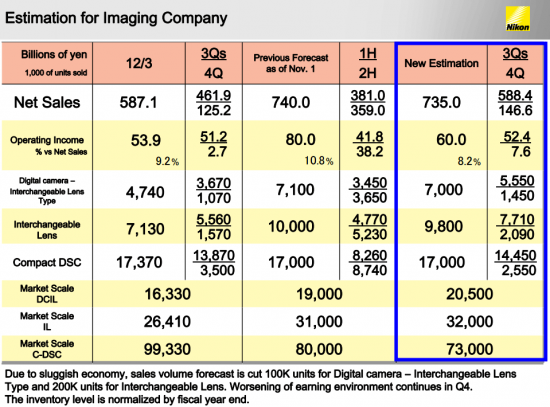 Demand in Europe is starting to slow, while business in China was worse than expected the past quarter"
Nikon's net income will probably be 38 billion yen ($405 million) for the year - 37% less than the previously forecasted 60 billion yen. Nikon also cut its second-half dividend estimate to 12 yen per share, down from 22 yen. Update: as a result of the latest financial results, the stock of Nikon Corp. fell 19% - the biggest drop since 1985. Inventory level at the end of 1st half of fiscal year was raised to cope with the Thai floods risk. As Q3 started seeing the reduction of the inventory, the market condition got abruptly worsened from late November. 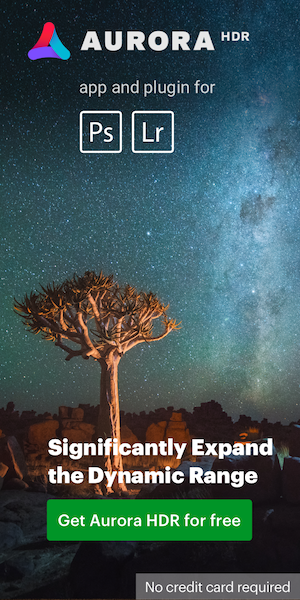 That led a substantial reduction of assumed unit price of Digital camera ― Interchangeable Lens Type, resulting in deterioration of the Q3 operating income ratio compared to 1st half. Due to sluggish economy, sales volume forecast is cut 100k units for digital camera with interchangeable lenses and 200k units for interchangeable lenses.